Minnesota TH 610 in Maple Grove was expanded to improve traffic patterns in the North Metro. To build a quality roadway while saving time and money, the design-build team proposed to construct directly over usable, in-place soils instead of removing soils and performing layered construction, which is the standard Minnesota Department of Transportation design. 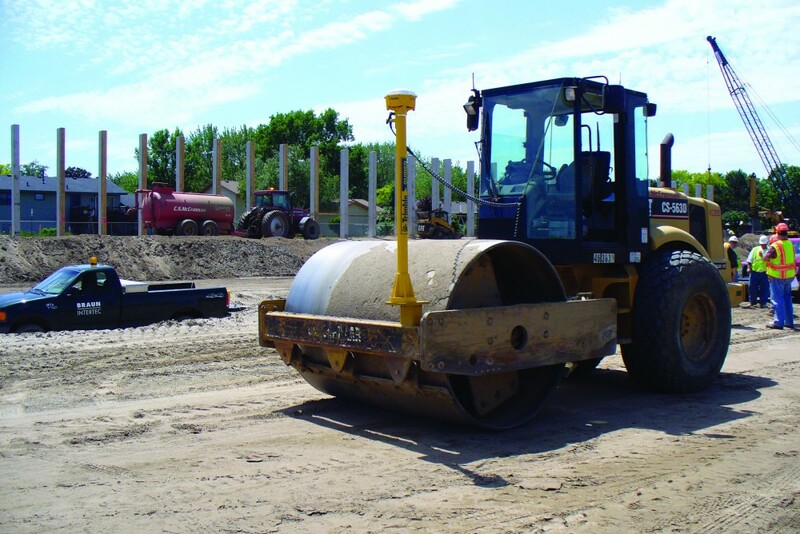 As the geotechnical engineer firm on the project, we created an innovative analysis method using intelligent compaction data gathered from GPS devices and accelerometers attached to a vibratory roller in order to monitor and document the stiffness of in-place soils for pavement support. The Braun Intertec data collection method detected non-uniform soil conditions and determined compliance with project requirements, allowing construction on in-place soils. This construction method improved uniformity, minimized long-term maintenance, and reduced project costs and schedules.